European Naval Operations in the Mediterranean – Paper Never Refused Ink! Reproduced here with the kind permission of the Editor of An Cosantóir, this is my Article which featured in the 60th Anniversary UN Peacekeeping Commemorative issue for 2018. Currently, in the Central Southern Mediterranean LÉ Samuel Beckett is on patrol, with fifty-six Irish service personnel embarked. She is the physical embodiment of Ireland’s commitment to a Europe Union (EU) mission which is determined to break apart the callous criminal enterprises which have extracted huge profits from the misery and death of thousands of innocents. With both an EU and United Nations (UN) mandate, the roles begin played by the Irish Navy in EUNAVFOR Med ‘Operation Sophia’, are very different from those which were undertaken by the other Irish vessels who have deployed since 2015, when LÉ Eithne first went south to answer the call from our Italian partners as part of the EU response to what has been interchangeable referred to as, the ’Mediterranean’, ’migration’ or ’refugee crisis’. LÉ Eithne (above) deployed twice to Southern Central Mediterranean on ‘Op PONTUS. During the early months of 2015, there had been substantial criticism of the EU for its ‘cost-cutting, continental infighting and bureaucratic indifference’ which had ‘turned the Mediterranean into a graveyard’ (Haddad 2015). In response, a special meeting between member states’ head of states in the European Council in April 2015 concluded that the EU would ‘mobilise all efforts at its disposal to prevent further loss of life at sea and to tackle the root causes of the human emergency’. Arising from that meeting was a commitment by the Irish Government to provide a Naval asset in a primarily humanitarian role. ‘Operation Pontus’ saw Irish warships operating in co-operation with Naval and Search & Rescue assets off the Libyan Coast. This also saw them operating at the edges of the security afforded by those European Naval task forces in the area of operations (AOO), yet all the while they were at the coalface of migrant search and rescue operations (SARO) with nearly 18,000 persons recovered from ramshackle craft. As part of this, the other EU member states agreed to strengthen the EU’s ’presence at sea, to fight the traffickers, to prevent illegal migration flows and to reinforce internal solidarity and responsibility’. The EU also made the decision to initiate a Common Foreign and Security Policy’s (CSDP) crisis management operation within the framework of the EU’s Maritime Security Strategy. 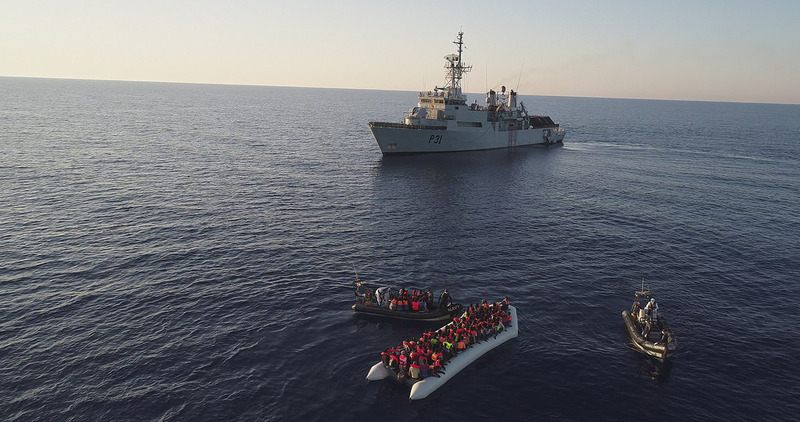 Originally referred to as EUNAVFOR MED, the operation was later renamed ‘Sophia’ at the proposal of the High Representative Federica Mogherini after a baby born on board of one of the ships participating in the operation. No Longer On The Edge. It was not until late 2017 that the LÉ Niamh ceased its ‘Op Pontus’ mission and joined ‘Op Sophia’. 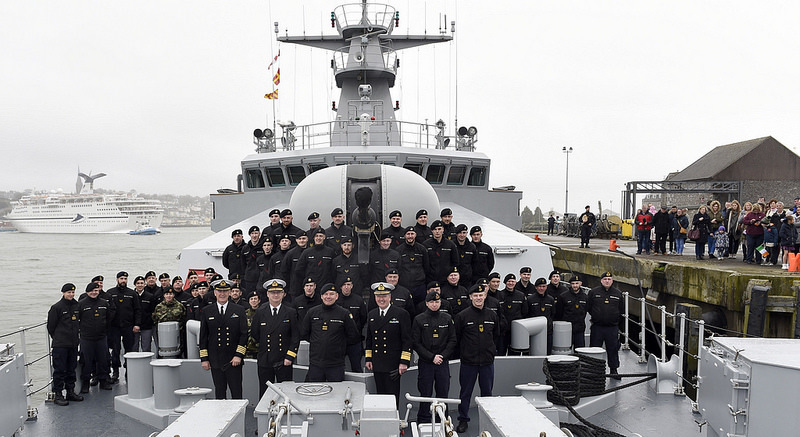 This is the Irish Naval Service’s first armed overseas peace support operation. Irish sailors have since the very earliest days of Irelands UN service participated in nearly every overseas mission, serving in army uniform and in traditional army roles. Yet despite this long, proud and continuing tradition, LÉ Niamh joining ‘Op Sophia’ was a historic and a long-awaited day. Irish Naval Staff Officers and NCOs are also serving onboard the Fleet Headquarters the Italian aircraft carrier and Flagship ‘ITS San Giusto’ and they are also serving ashore in Italy, where Cdr Kenneth Minehane is currently the Force Protection Officer for Operation Sophia, based in Rome with the Operational Headquarters. 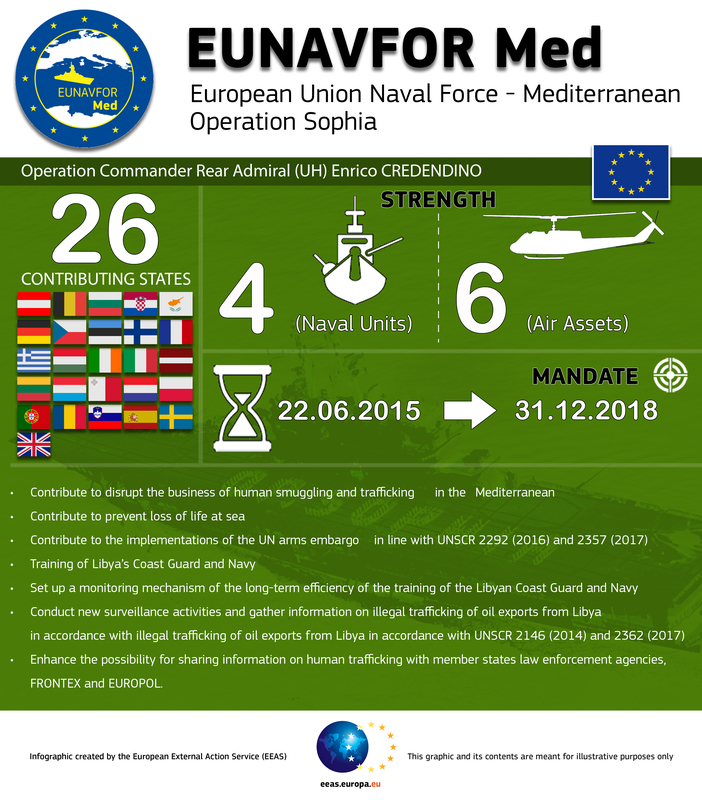 The current strength of EUNAVFOR Med stands at only four (4) Naval Assets. Embedded within EU Naval staff, he describes the mission as ‘part of the wider EU ‘comprehensive response’ to irregular migration’, adding that a core mandate is the ‘disruption of the business model of human smuggling and trafficking networks in the Southern Central Mediterranean’. The EUNAVFOR Naval assets will achieve this he says ‘through the identification, capturing, and disposal of vessels and associated assets suspected of being employed for smuggling or trafficking activities’. The Council of the EU’s decision on Sophia’s launch states that an EU mission was necessary to prevent ‘further loss of life, to tackle the root causes of the ongoing emergency situation in line with the relevant international law provisions, and that its immediate priority is to prevent more people from dying at sea’. In order to achieve this since its launch in June 2015, Sophia has been conducted in four sequential phases. The first phase was a deployment and assessment phase, including information gathering and patrolling of the high seas to monitor migrant smuggling activities and to build a comprehensive understanding of smuggling activity and methods, and this phase is now complete. The second phase involved the boarding, search, seizure and diversion of the vessels suspected of participating in human smuggling or trafficking on the high seas under the conditions provided for by applicable international law. The fourth and last phase will consist of withdrawal of forces and completion of the operation. European Union Common Defence and Security Policy (CSDP) current data. The European Council is responsible for assessing whether the conditions for transition between the operation phases have been met. On the legal side, all of the activities undertaken in each phase adhere to and respect international law, including human rights, humanitarian and refugee law and the “non-refoulement” principle meaning that no rescued persons can be disembarked in a third country. LtCdr Eoin Smyth, Officer Commanding, LÉ Samuel Beckett has the responsibility of bringing his ship into the new mission during what this phase two, ‘this mission tackles the causes of the problems, not just the results, as part of the comprehensive EU strategy’. He feels very strongly about the capabilities of his vessel and most of all about the ability of his crew ‘we have a fine ship with an excellent and experienced crew. We are more than capable of meeting any of the challenges and denying smugglers the opportunity of operating in our AOO’. 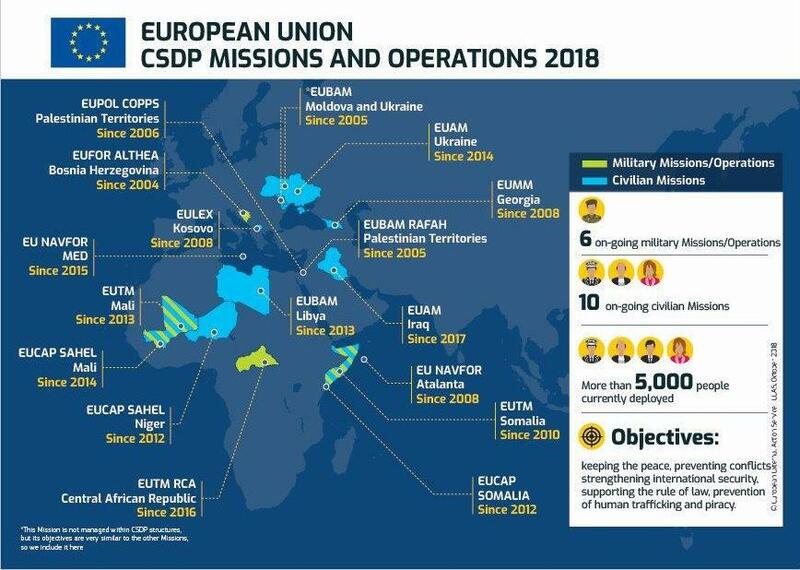 One of the large questions posed by ‘Operation Sophia’ and other EU military or capacity building missions such as ‘EUCAP Somalia’, is the progress of the EU towards deeper integration. Despite the many different backgrounds, cultures and histories of the 27 members of the EU, it has since the 1950s has achieved much in the integration of national interests. Specifically, in areas like the environment, economics, free movement for EU citizens, and the monetary union, the integration process has been hugely successful. 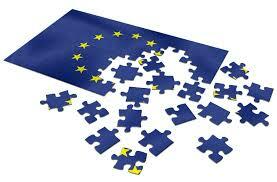 Notwithstanding that success, the EU faces serious challenges to full integration in the area of defence and security. Many EU Members are adamantly opposed to integration on the defence and security. These Member States argue integration could sacrifice some state sovereignty, such as a state’s inherent right to decide when to use force. Further, some of these Member States suggest that the role of defence and security, in Europe, should be fulfilled by NATO; therefore, any attempt by the European Union to integrate in this arena will challenge NATO and its role in the sustainment of peace in Europe. On the other hand, these same nations claim, quite vocally, the European Union should play a more dominant role in the international community. Moreover, that the European Union should be able to influence how the international community deals with threats, challenges, and crisis by offering a European instrument for crisis management. The challenge for the European Union then becomes how to integrate in the areas of defence and security without undermining the role of NATO and the sovereignty of its Member States. These questions will be answered through sustained dialogue at both a National and European level. The Ships Company of LÉ Samuel Beckett on the fo’c’sle prior to departure in April 2018. Author included. The questions answered by the Irish Naval crew’s at sea will while still complex from an operational context, be slightly simpler. They will serve under the EU flag as it streams from their mast, while proudly bearing Óglaigh na hÉireann on the their chest, with the faithful tri-colour on their shoulders and stern. They will answer all questions with their professionalism, their hard work and with their commitment to their ship & shipmates. Holding their own beside the largest navies in Europe, on the front line, to stop those who profit from the desperate, to disrupt the trade of illicit arms which fuels conflict, and to stem the flow of pilfered oil which deprives the Libyan nation of much-needed revenue to serve its people. They will help to establish and then keep the peace, as the Irish have for sixty years.